With school holidays upon us, parents are starting to seek activities that will keep their children active and away from the hypnotic pull of an overheated game console. At The Lost Dogs’ Home, we believe that the best way to get a child active is to pair them up with a four-legged playmate! Here we share with you some simple tips and fun DIYs that will keep both your kids and your pets happy! Spring is the perfect time to venture into the great outdoors with your dog. Although it’s crucial to ensure your dog is walked on a daily basis, irrespective of the season, with the warmer weather on the way, now is the perfect time for you to enjoy the outdoors together for longer. If your child is old enough, why not suggest taking the dog for an extended walk, a run around at the dog park or beach? Or if you want to hang out as a family, bring the dog along for a barbeque with friends so your kids have someone to run around with. If you’re planning spend some time away this holidays, ensure your pet’s identification details are up to date first. Whether your pet is making the trip with you or staying behind on familiar ground, ensure their contact details are updated, so they can be easily returned home should they become lost. If you’re staying homebound these school holidays, get crafty with your kids and consider making some simple toys! At the base of the t-shirt, make cuts approximately every 6cm along. Rip the shirt along each slit so you end up with strips of fabric. Gather the strips together and tie off one end. Divide the strips into three equal portions and braid them together, then tie off the other end. 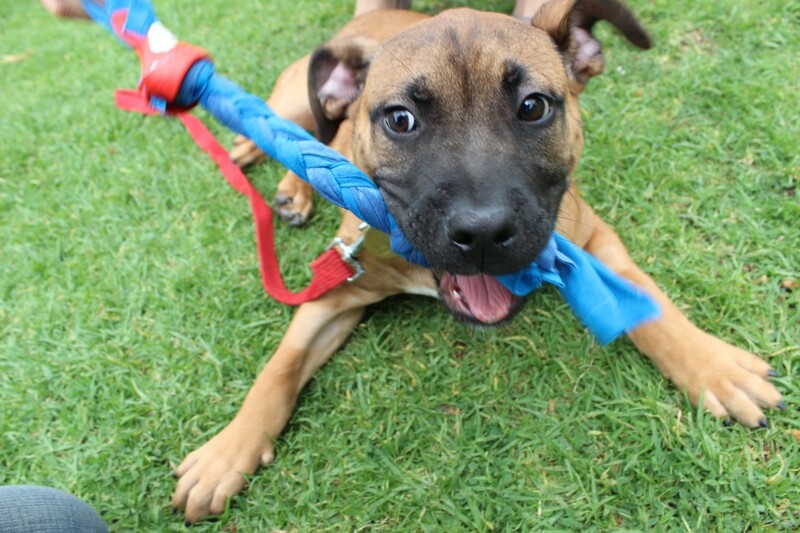 Get out and play tug-o-war with your pooch and their new toy! When it comes to our feline friends, most cat owners will attest that the simplest games are best. If it makes a cat sit up, widen those round eyes and take notice, then you know you’re on to a winner. And if they can hide in it, jump on it or sink their teeth into it, they can be kept entertained for hours. Consider stacking boxes around the house or creating a newspaper tunnel — and if all else fails, scrunching up some tin foil can keep both puss and the kids in a constant state of activity. To one end of a piece of string, tie some feathers, strips of material or a bell. Tie the other end onto the stick or dowel. Instant fishing pole for your cat! Now that you’ve got some new toys for your pooch or kitty, why not look at training them some tricks as well? Get the kids involved and make it fun for the whole family! Check out our articles on ‘three easy tricks to train your dog’ and ‘training a cat is possible’.